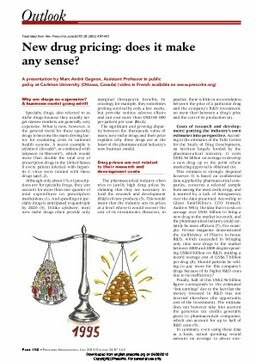 MacOdrum Library - Carleton's Institutional Repository: New drug pricing: Does it make any sense? New drug pricing: Does it make any sense? Gagnon, M.A. (2015). New drug pricing: Does it make any sense?. Prescrire International, 24(162), 457–461.